Barcelona and their players such as Pique and Iniesta have tried to persuade Neymar that his future is best-served in Spain, but the Spanish giants now seem destined to lose one of the biggest stars in world football with PSG ready to pay Neymar’s 197 million release clause. Neymar edges closer to finalize his much talked about move to French side Paris Saint-Germain as the Brazilian touched down in the Middle East ahead of a potential medical. 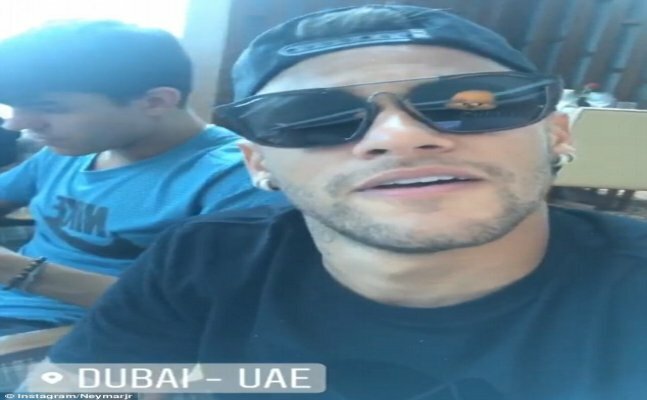 Neymar who was in China fulfilling his sponsorship responsibilities was expected to fly to Doha to undergo a medical with PSG but made a pit stop in Dubai. The unsettled Barcelona star looked calm and collected as he posed for photographs with his friends. Neymar could complete his world record transfer to French side by the end of the week and is expected to pen a six-year deal worth more than £500,000-a-week. The biggest question with the deal is the issue of financial fair play regulation, Neymar’s current team Barcelona are planning to file a complaint while PSG is adamant that they will respect FFP regulations and are ready to sacrifice some members of the squad.